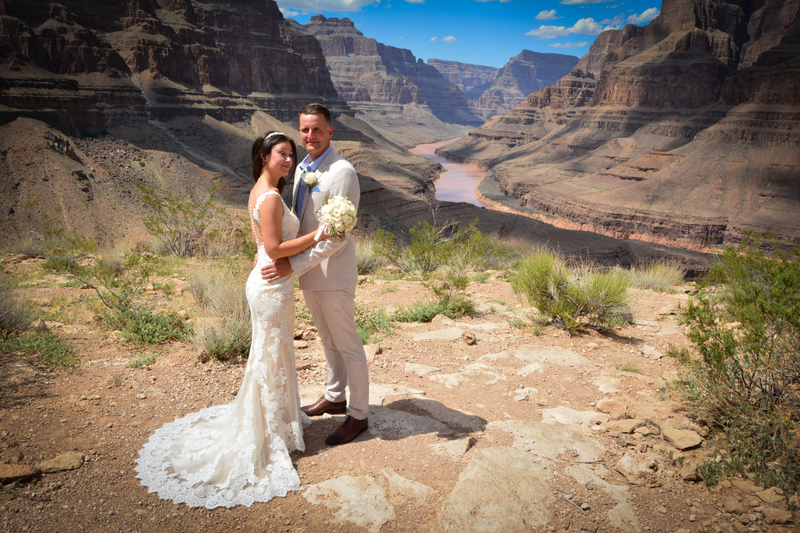 Your perfect Las Vegas Wedding begins with our luxury Mercedes Benz ground transportation that will transfer you from your hotel to our VIP Lounge, where your Minister and Wedding Coordinator await. 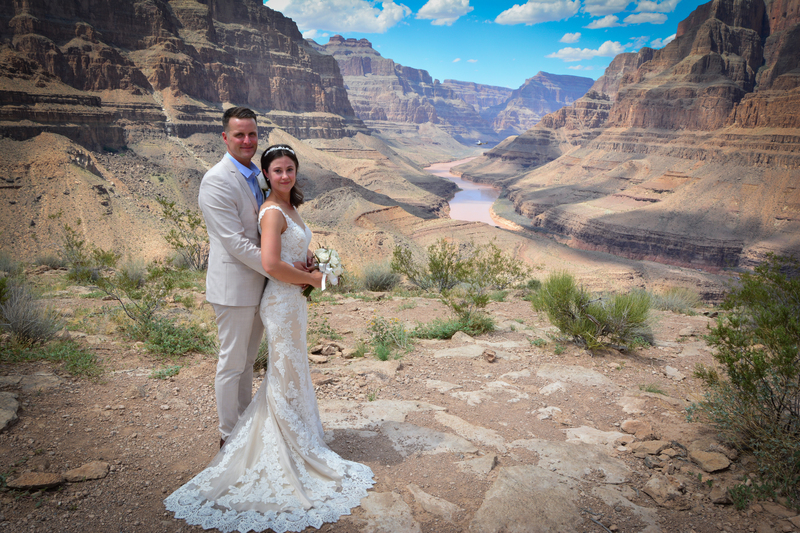 After checking in for your flight, you will be taken to your private helicopter that will give you a spectacular bird’s eye view of the beautiful Hoover Dam and Bypass Bridge on your way out to the Grand Canyon. 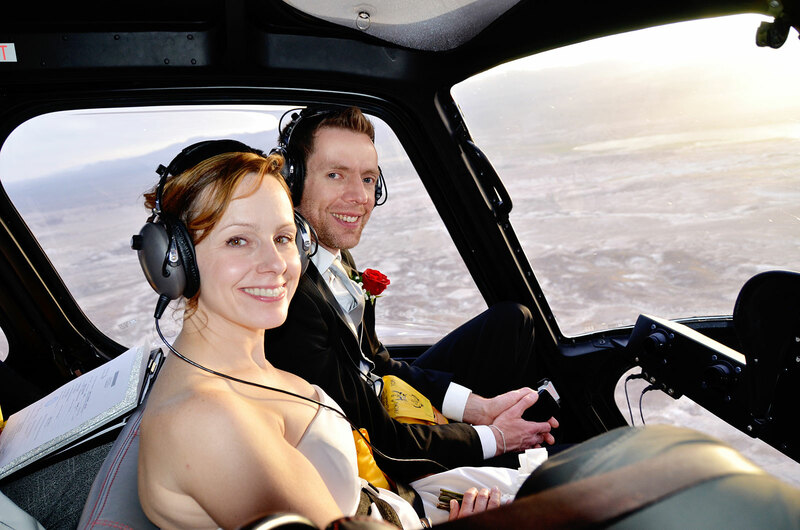 Your wedding and tour flight experience will be narrated by our experienced Pilot, who will provide comprehensive information through a two-way headset. 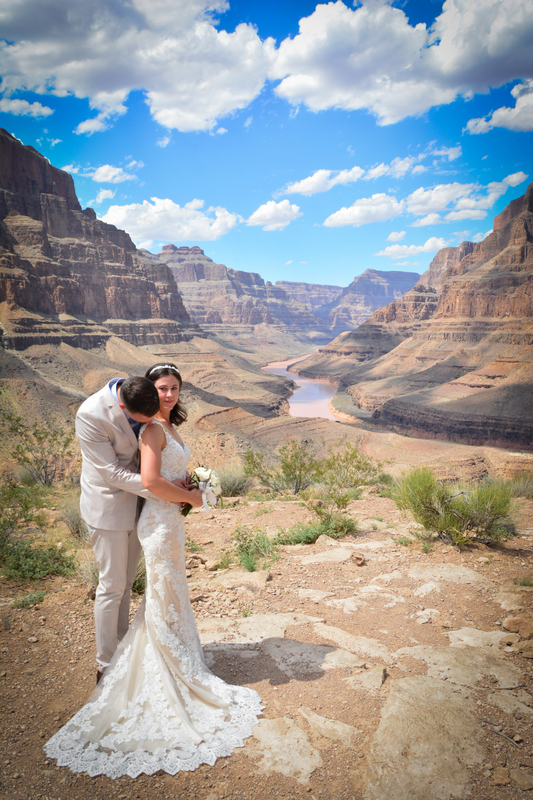 You will fly past extinct volcanoes, and over Historic Indian Territory, before you descend below the rim of the Grand Canyon. 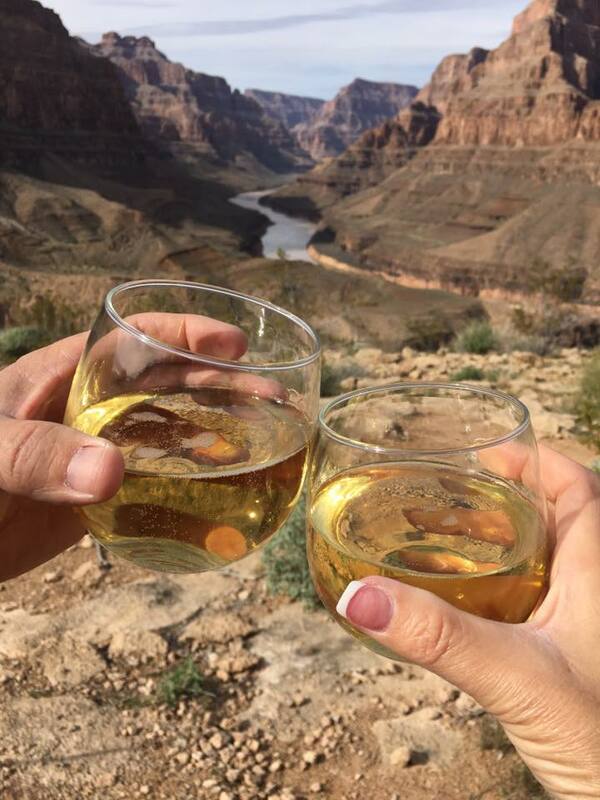 Now imagine landing deep inside the Grand Canyon on an exclusive plateau – only accessible by helicopter overlooking the mighty Colorado River. 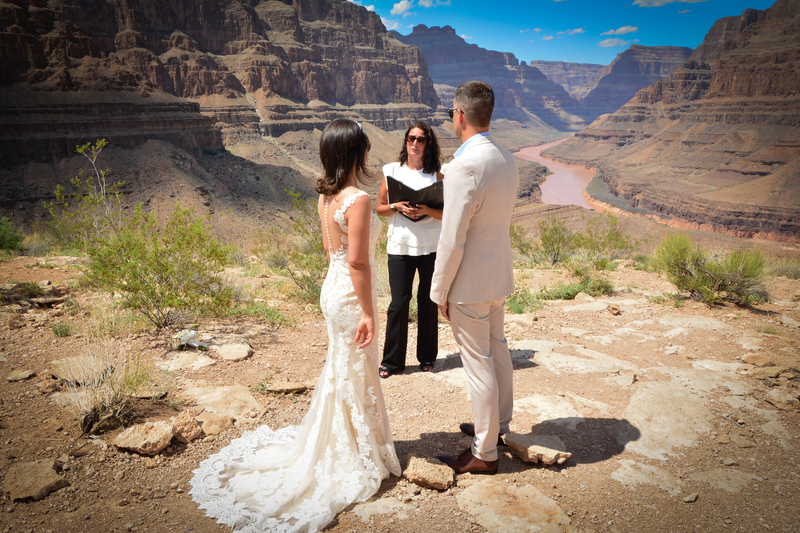 Here you will exchange vows in one of the Natural Wonders of the World! 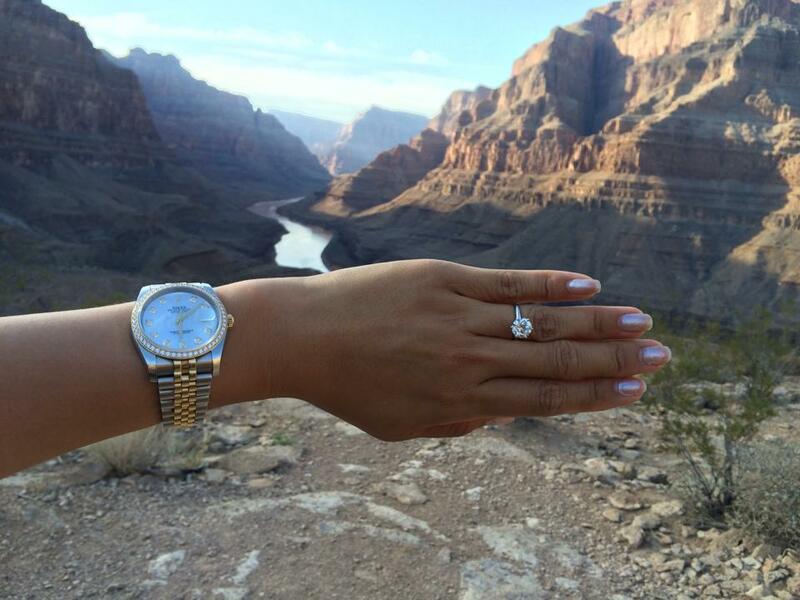 After the ceremony, we will have your wedding cake and champagne toast ready. Your return flight will include spectacular views of the rugged Mojave Desert. Take a moment to read through some of our most Popular asked Questions. 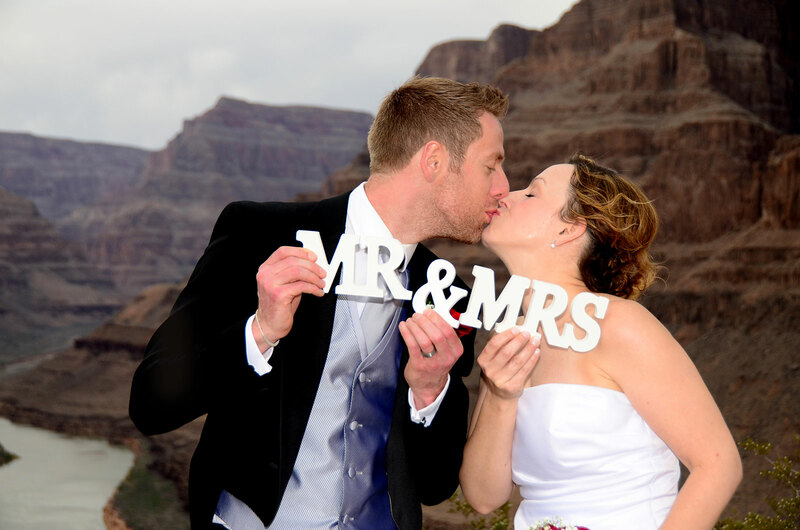 Read more reviews from our happy newly weds!